When it comes to content management, providing a top-notch user experience for your user base is your top priority. You also want assurance that the system is easy for your content team to use and efficiently gets the job done. 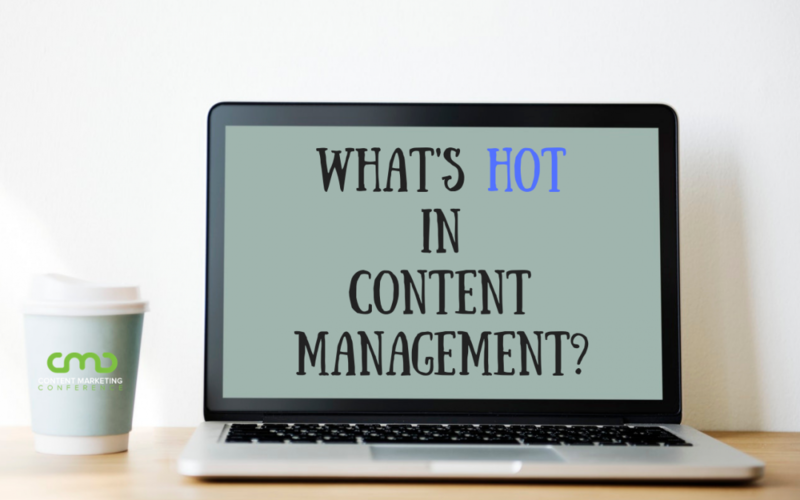 Content management systems (CMS) are totally old hat for everyone from bloggers to Fortune 500 websites that have several terabytes of content that needs to be maintained and curated. Marketing automation platforms like Salesforce and Marketo became popular investments for firms looking to turbocharge their digital marketing strategies. Shifts towards progressive web apps are also taking place. Marketing automation platforms are meant to be a “one stop shop” for all facets of digital marketing but they’re never purely so: organizations still use other tools for email, social media management, and since content remains king, many marketers find CMS capabilities in popular solutions to be lacking. Hence, there’s a “tech debt” crisis right now. But marketing automation platforms aren’t on their way out though. Early adopters are beginning to swap out CMSes with digital experience platforms (DXPs) in response to the overwhelming array of martech out there. Here’s why. Per the Content Marketing Institute, it’s hit critical mass with 50% of marketers saying their number one pain is too many different marketing technologies and 80% saying that having to learn and use new programs is their least favorite part of their job. There are many reasons for this, such as the organization being a poor match for the marketing automation solutions or teams being ill-prepared to implement these new tools. Tech debt is a serious problem in organizations of all sizes because the more martech is in place, the more isolated backend work needs to be done. When there are so many different tools being used on top of each other and they don’t sync well (or at all), it makes every aspect of content strategy more difficult. Between content management, analytics, and keeping your audience happy, how do you pay down tech debt? Enter DXPs. They’re integrated software frameworks intended to engage a variety of audiences across a broad array of digital touchpoints. While they’re not a brand new concept, Gartner’s Magic Quadrant is now revolutionizing the DXP space. Learning to use one will still be a thorn in marketers’ sides, but there’s a reason DXPs will significantly cut down on the sheer amount of martech in use. DXPs are meant to work with any digital touchpoint while web CMS primarily deals with web content. Enterprise CMS doesn’t even stack up to DXP because digital isn’t just the web and ecommerce anymore. Billboards, kiosks, customer portals, and multiple personal devices: digital journeys are becoming more longer and more complex, which necessitates integrating all of the backend applications different departments use for the journey’s touchpoints. Every single facet of your digital strategy still can’t be managed under the same suite. Certain functions will always be isolated and require their own platforms. However, the ability for DXPs to be so much more open and adaptable to complex customer journeys makes them a better fit for enterprise content management than many CMS solutions. More growth is expected in this area come 2019 with several industry leaders adopting DXPs and phasing out CMS.